Watch Kannada News Channel Public TV News Live with High Quality On YuppTV. YuppTV is proud to host a variety of live channels that stream all the way from India to rest of the world. While one group is dedicated to airing free Kannada news coverage throughout, another group offers a mix of news and entertaining programs on the side. 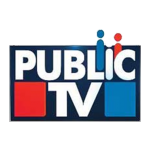 Public TV live is a famous Kannada News TV channel. All NRIs from around the world are welcome to view it free right here on YuppTV. It is loved for its factual news updates that emerge every other time, 24 hours a day. Besides providing captivating news coverage, Public TV channel often schedule interviews featuring local politicians to discuss topics of the day. This is the right place for those who keep dreaming about getting in touch with India while they are away. It is one of the most viewed channels in South India today. To begin viewing Public TV live, simply go YuppTV as it is a free news channel.